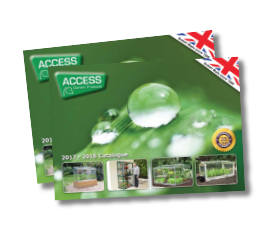 The Access Garden Products range includes traditional Cold Frames, Wall Frames and Growhouses plus the range of popular Mini-greenhouses. The free standing frames can be used anywhere in the garden, on the soil, on a patio, or even a sunny balcony! 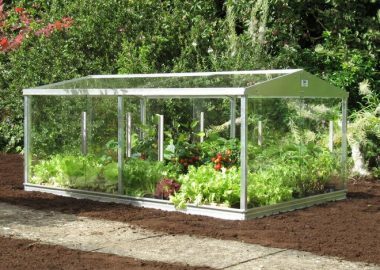 Our Mini-greenhouses are exceptionally versatile. 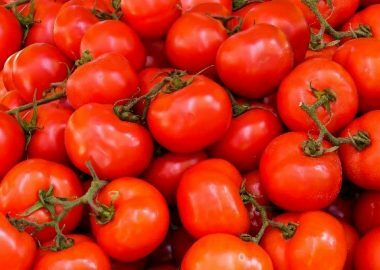 They can be used to over-winter house plants, to bring on cuttings, for hardening off work, growing tomatoes and grow bag crops, and much, much more. Not only do they provide all year round use, they make maximum use of a small area. We do not believe in building a limited life into our products. This inevitably means they cost more initially, but in the long term the quality pays for itself. The frame is made of architectural quality aluminium alloy and comes with a 25 year guarantee.° The sections are thicker than any other frame manufacturer we know of – giving much greater rigidity to the framework. All units are supplied with comprehensive instructions for easy assembly. 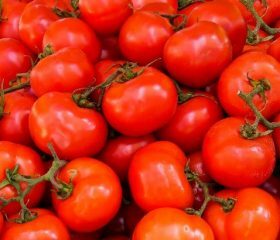 Safety has always been a concern for greenhouse owners. For visual clarity, glass is still far better than plastic or acrylic, but it can be dangerous when broken. To solve this problem, Access fit high quality, toughened safety glass.° Being toughened it breaks into small fragments instead of large potentially lethal shards. All our glass is toughened, making it up to 10 times stronger than horticultural glass, as well as being 1/3 thicker* for greater heat retention. The top and front glass slides easily for variable ventilation. For those times when no one is at home, an automatic louvre vent can be added. *°Powered by a reliable oil filled mechanism, it will automatically open and close with changes in temperature – ensuring good ventilation even on hot days. Unique to Access Mini greenhouses is the provision of a built-in watering system. *° Simply turn on your tap to spray a fine mist throughout the frame, without having to open the glass. Mist watering is beneficial for foliage and ideal for young seedlings. Even the finest ‘rose’ cannot duplicate the gentleness of mist watering. Every time it saves you carrying a heavy watering can, you’ll think it’s worth its weight in gold!